PRESQUE ISLE, Maine — The man who was shot Saturday while approaching a local police officer with a knife has died, according to police. 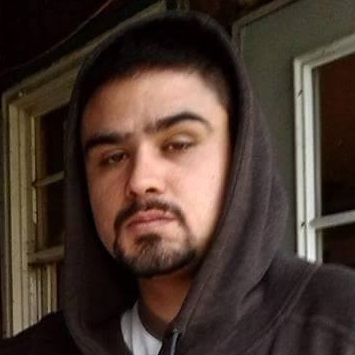 Derek J. Sam, 29, died at Eastern Maine Medical Center in Bangor at 12:35 a.m. Tuesday, the Presque Isle Police Department said in a news release. Sam was shot by Presque Isle police officer Lucas Hafford on Saturday evening in the parking lot at 631 Main St. Responding to calls about erratic behavior, Hafford encountered Sam carrying a knife and used verbal orders and a stun gun before shooting, according to Presque Isle police Chief Matt Irwin. Sam was brought to The Aroostook Medical Center after the shooting and then flown by LifeFlight to EMMC. Sam will be remembered as a loving and involved father, said Cathy Hooey, who was in a relationship with him until 2014. Together they had a son, 11, and two daughters, ages 8 and 2. “It’s hard. My two daughters don’t understand,” Hooey said of Sam’s death. Hooey said that she and Sam grew up in Caribou and started dating in their young teens. Sam loved the outdoors and wanted to be a game warden, she said. He got his high school diploma and worked some “odd jobs” and seasonal farm jobs, Hooey said. Their relationship ended in part because of his trouble with alcohol, she said. Hooey said that she talked with Sam off and on until around 5 p.m. on Saturday, about an hour before he was shot. While he was reported approaching the officer with a knife, Hooey said, she doesn’t believe Sam had any intentions of harming anyone. The attorney general’s office is investigating the shooting, as it does in all incidents of police use of deadly force, and will later issue a report on its findings. Sam was hospitalized before any charges were filed against him in this case. While the 911 and dispatch calls related to the incident have not been released, Irwin said multiple calls reported Sam acting suspiciously near McDonald’s on Main Street shortly before 6 p.m. According to Irwin, Hafford arrived and told Sam to drop the knife, then used a stun gun, which did not stop Sam from continuing to walk toward the officer. A video taken by a witness, after the stun gun was deployed, shows Sam still walking toward Hafford, who then fires what sounds like three shots at Sam. It is not clear why the stun gun did not work, Irwin said Monday. The stun gun did deploy, but the two probes from the electronic weapon that deliver the shock may not have fully latched onto the target, he said. It also was not clear whether Sam was using alcohol or drugs, though there was no physical drug evidence Saturday, Irwin said. In the past year, Sam was arrested by Presque Isle police three times on charges that included theft, disorderly conduct and domestic violence assault. While the attorney general’s investigation is ongoing, Irwin said he believes that Hafford, who is on administrative leave, followed standard police training. “Someone with a knife, once they get into a certain proximity, can act quicker than [an officer’s] reaction,” Irwin said. The Maine attorney general’s office, which investigates all incidents of police using deadly force, considers several criteria in analyzing a case, according to Timothy Feeley, spokesman for the attorney general. This is the first time in Irwin’s six years leading the Presque Isle police that an officer has shot a suspect. Irwin, who spent two decades in law enforcement in Florida before coming to Presque Isle, said he has never shot at a criminal suspect but that several such officer-involved shootings occurred every year in that state. Two such incidents occurred in southern Aroostook County in the last two years, both later determined to meet the criteria for self-defense by the attorney general. In October 2014, a Maine State Police trooper shot and killed Alan Gillotti in an armed encounter in Ludlow, following an armed home invasion in Bridgewater earlier in the day. In February 2015, an Aroostook County deputy and Maine State Police sergeant shot and killed Kenneth Kreyssig in Smyrna, after they encountered him armed in a home while performing a well being check on his elderly mother.